Charter a private flight to Montrose for your next vacation, and enjoy a city that is one-part mountain town and one part…mountain town. That really is all our clients fly here for. 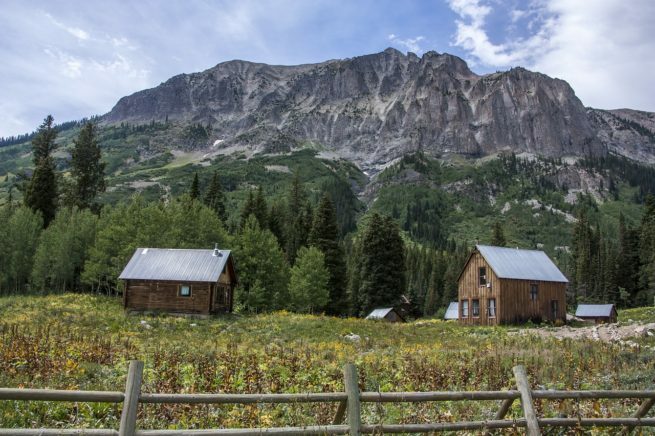 This part of Colorado is famous for its outdoors activities; hiking and skiing the snowcapped mountains, fly fishing in the icy runoff streams, and kayaking through the craggy ravines; it’s all right there when you fly private to Montrose. Our team at Private Jets Colorado can set you up to enjoy all of the region’s assets, and enjoy them in the most convenient way possible. Our jet charter representatives are available 24 hours a day and 7 days a week to ensure that your needs are met exactly when they need to be. Our private aviation team can arrange everything from multi-leg private flights with in-flight catering to luxury ground transportation and private helicopter lifts; nearly anything can be arranged upon request. Request a quote now, or give us a call to book your luxury private flight to Montrose, Colorado. Originally founded in the late 1870’s, the slopes of Montrose have attracted nature enthusiasts for over a century. With the advent of its first regional airport in the 1940’s, the city cemented its position as a major private flight destination. It’s the perfect weekend getaway or day-long ski trip, with several luxury ski lodges having popped up in the vicinity. Whether you’re hoping to experience the typical ski lodge “wake-up and hit the slopes” lifestyle, or you want to sleep in at one of the generously appointed suites at the contemporary hotels, you’re sure to find a lodging option that works for you. However, with all of the options available, it can be a bit difficult to choose the perfect option for you. Our local jet representatives have compiled a list of the absolute best options for the best places to stay after your private flight to Montrose, Colorado. Based on amenities offered, client feedback, and location, there’s sure to be something on the list that strikes your interest. Read on to check it out. Luxury ski lodges and charming bed and breakfasts await you after your private chartered flight to Montrose, Colorado. Although the area has world class attraction of just about every sport, most of the time, if you’re travelling to Montrose, you’re probably doing it for the skiing. Part of the greater Gunnison area, one can imagine that there are tons of places to stay if you want to be close to the slopes. The Hotel Telluride is generally considered the most popular, with some of the best cross-country skiing in the state. With miles of untouched powder and tons of different slope options, Montrose makes a great destination for your next private flight. However, there are tons of other options in the area, and it’s important to pick the right place to stay. Our local aviation reps have come up with a few suggestions depending on what your travel goals area. They’re based on previous client feedback and online reviews, so read on to check them out. Museum of the Mountain West, Inc. Private Jets Colorado utilizes the following airports to fly clients privately to/from Montrose, Colorado and neighboring areas. Request a Quote or give us a call at 1-888-987-5387 to speak with one of our Montrose Private Jet Charter agents for your next luxury vacation, business trip, or special event.